Oregon Speed with Brute Force: Cristobal or Frost First to Get There? BRUTAL SPEED: A Marriage Made in Heaven? 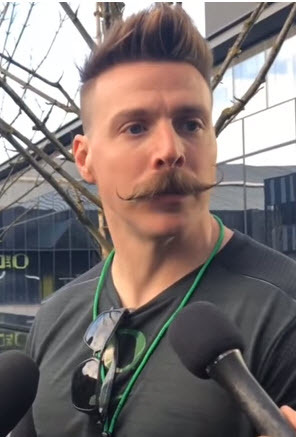 Mario Cristobal and Nebraska’s Scott Frost have expressed remarkably similar strategies to pursue a national championship. This season, the two coaches plan to deliver two what-should-be-fascinating examples of combining Oregon speed and tempo tactics with brute-force football learned at Alabama and Nebraska. The goal: punish your opponents with dominating physicality, while simultaneously dazzling them into dizziness with speed and misdirection in new-age hybrid offenses. “The elements of uptempo offense with the physicality at the line of scrimmage, it is very easily combined. 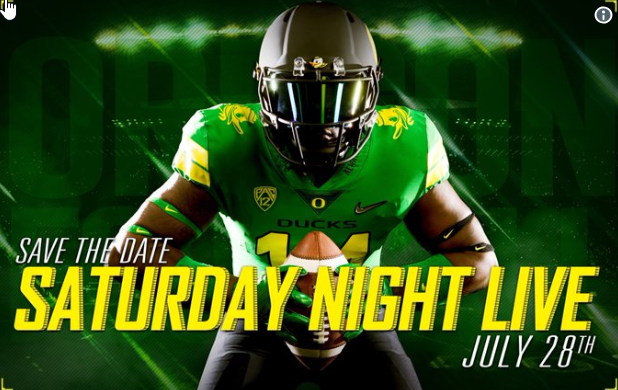 We have been doing it,” says Cristobal, according to Andrew Greif‘s August 5 update. “I always said at Oregon that if we could combine our scheme and speed there with old-fashioned Husker Power, that we wouldn’t lose a game,” Frost says in an interview with Bruce Feldman of Sports Illustrated. 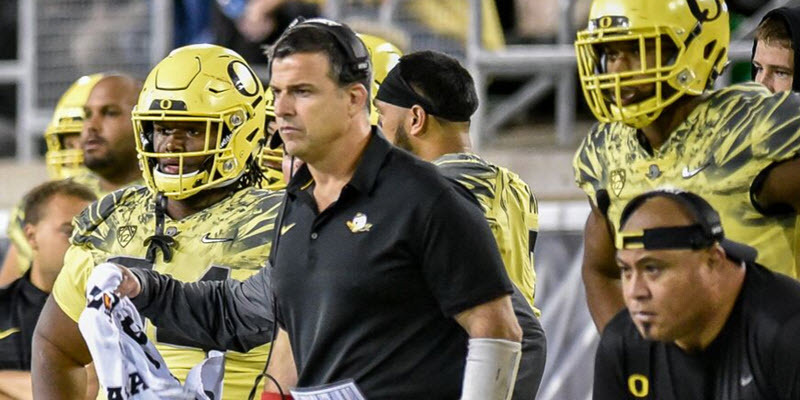 Cristobal or Frost — or perhaps both — may be creating some of the most intriguing evolutionary developments of Oregon speed and tempo strategy since Chip Kelly. Chip Kelly and Scott Frost. So, what are the key elements both of these coaches are focusing on? How will they compare? Will they both succeed to the point that Oregon and Nebraska even meet in the National Championship Title Game? 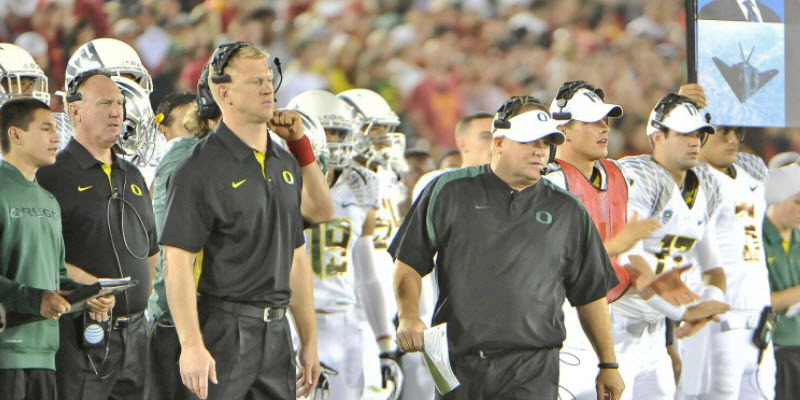 Cristobal and Frost are both emphasizing a similar multi-part foundation for their programs. Frost, likewise, feels he has to change the culture at Nebraska from the hangdog climate of fear and despair he inherited from Mike Riley to the confident, selfless culture he knew under Tom Osborne. “There’s a formula that worked at Nebraska for 30 years … the leadership on campus and the AD office ruined this place because it was either guys who thought, I wanna do it my way … or they didn’t understand what made Nebraska so good,” Frost says. Frost’s No. 1 goal is restoring that culture and formula, to establish the right mindset in his players: “We will play with a desire to excel and no fear of failure. I want our guys to make big plays, splash plays, plays that impact the game and not worry about failing.” No fear of failure – Paul Myerberg. Strength, Conditioning and Scientific Nutrition (SCN): In football importance, just after the mental condition created by culture, comes a player’s physical condition. Cristobal and Frost demand the absolute best in SCN from their players, pushing them to exceed any limits they might think they have. Both have hired top-notch S&C coaches. Both have hired special nutritional consultants. And both teams are seeing dramatic improvements in their players’ size, speed and strength. 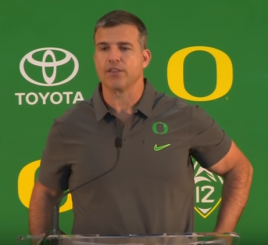 To carry S&C to a higher technological level, “Oregon outfits every player with a GPS system to track every movement the players made during workouts,” according to Matt Prehm. Frost’s priority on physicality stems from seeing up close how his 1990s Nebraska teammates dominated other teams. When he arrived at Nebraska in 2017, he was surprised at how out of shape some players were, and at the deficiencies in the S&C program. He set about correcting that immediately. Meyerberg quotes Frost: “The formula at Nebraska is going to be hard work and developing players better than everybody else.” Will Cristobal at Oregon or Frost at Nebraska have the biggest, strongest and fastest team in college football? Who is more right about recruiting versus development, Cristobal or Frost? Both Frost and Cristobal are instilling the foundational elements of Culture, Physicality and Recruiting to create what they hope will be national-championship caliber programs. Once the foundations are in place, how is the Power plus Speed equation going to play out in game-day strategy for both Cristobal and Frost? Will they be borrowing concepts from one another, as Kelly often did and Cristobal does from his time at Alabama? 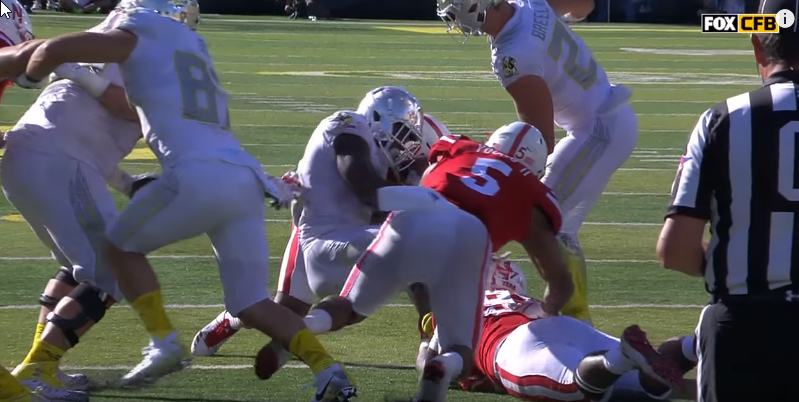 Could Frost provide more offensive concepts for Oregon, even though he’s now at Nebraska?